E-lucid, an online system developed by UCLB to enable rapid licensing of software and materials arising from the UCL research base (www.e-lucid.com), has now been rolled out as a cloud-based service for other technology transfer organisations (TTOs) wishing to provide a licensing portal for their Intellectual Property. UCLB has built up a significant portfolio of products on E-lucid which are available for commercial and academic licensing. By using E-lucid, UCLB Business Managers are able to unlock significant time-saving benefits through the automation of many if not all of the elements of a non-exclusive licensing transaction, as well as the ability to process payments automatically. Keen to share the benefits of the system and thanks to an award from the UK Intellectual Property Office under their Fast Forward competition, a white-labelled ‘software as a service’ product has been developed so as to make E-lucid available to other technology transfer organisations. Dr Steven Schooling from UCLB commented ‘The development of E-lucid has allowed UCL and UCLB to enhance our knowledge transfer activities in the software and materials areas, whilst also providing a further basis for collaboration with the technology transfer offices of other UK higher education institutes’. 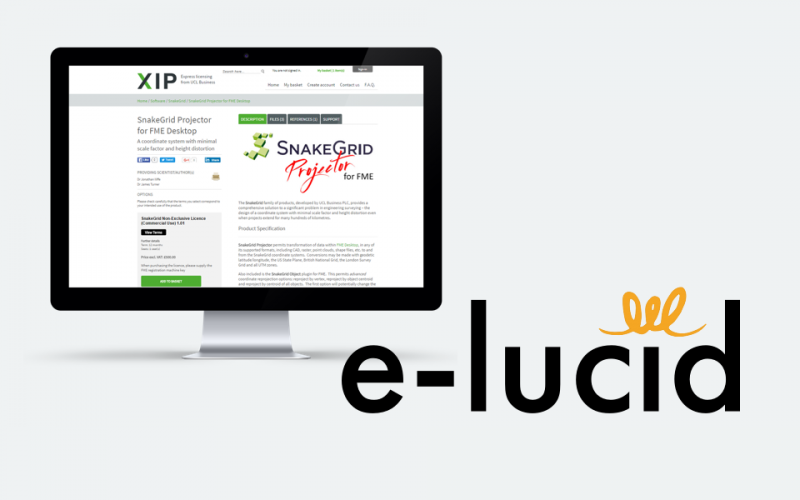 Three pilot customers have recently been recruited, each of whom have been provided with their own fully configured and transaction-ready implementation of E-lucid. The first of the three to launch is the ‘click-thru licensing’ portal managed by Edinburgh Research and Innovation (ERI), the research and commercialisation office for the University of Edinburgh. ERI’s new ‘click-thru licensing’ portal can be found at https://licensing.eri.ed.ac.uk. E-lucid is capable of managing the licensing and distribution of software, biological/chemical materials, databases, videos and images under both academic and commercial terms. Developed by TTO managers, for TTO managers, it focuses on making the licensing terms and conditions of market-ready IP clearly visible to the site visitor, also allowing the TTO to define different licences per product. The system provides a professional ‘shopping basket/check-out’ experience, embedded within which is the TTO-specific requirement for formal acceptance and capture of licensing terms. Additionally, E-lucid is believed to be unique as an IP licensing system by allowing the TTO to configure, on a per-product basis, a customised, automated licence-approval process which is essential in UCLB’s own practice in the grant of material transfer agreements for example. For further information, please see: www.uclb.com/e-lucid or contact +44 (0)20 7679 9700. Edinburgh Research and Innovation (ERI) is a UK leader in commercialising research and entrepreneurship. As the University of Edinburgh’s commercialisation (technology transfer) office, ERI seek to promote the university’s world-class research and commercialisation expertise to potential funders, collaborators, licensees or investors. A recent economic impact report revealed that this activity contributes over £164 million annually to the UK economy and supporting nearly 3,000 jobs.